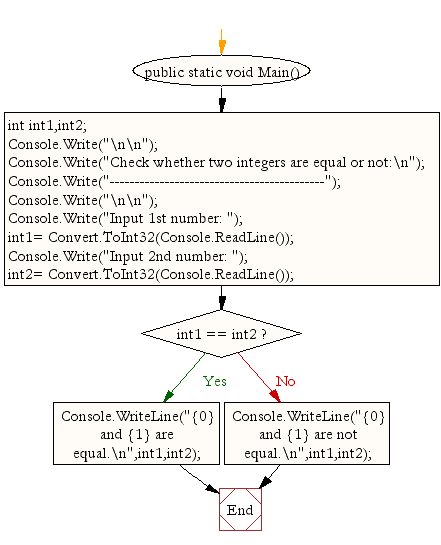 Write a C# Sharp program to accept two integers and check whether they are equal or not. 20 and 20 are equal. Previous: C# Sharp Conditional Statement Exercise. Next: Write a C program to check whether a given number is even or odd.